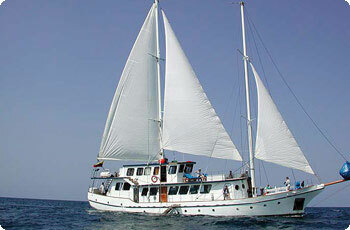 The Cachalote is a luxury Sailboat offering some of the finest sailing at the Galapagos Islands. It has been popular amongst our clients who want a first class Yacht but not with the a big prices. Beam: 18 ft. 6 in. Number of cabins: 8 Double staterooms .